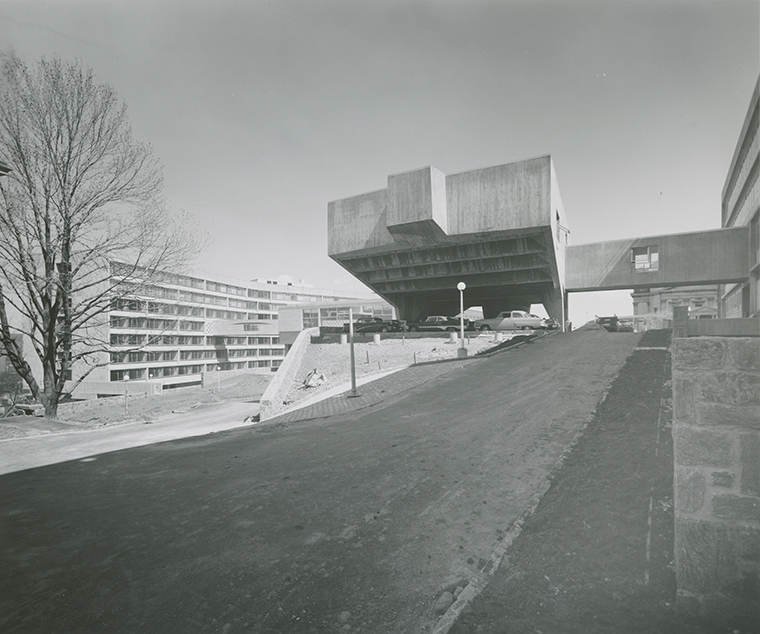 Courtesy of Marcel Breuer Papers, Special Collections Research Center, Syracuse University Libraries. Barry Bergdoll is the Meyer Schapiro Professor of Art History at Columbia University and curator in the Department of Architecture and Design at the Museum of Modern Art. He has curated exhibitions and published widely on aspects of contemporary, nineteenth- and twentieth-century architecture. His essays on Breuer have appeared in the Vitra Breuer exhibition catalogue (2003); the Office USA Agenda catalogue for the US Pavilion at the Venice Biennale (2014); and in the Bulletin of the Metropolitan Museum of Art (2016). Bergdoll’s previous publications include European Architecture, 1750–1890 (Oxford UP, 2000); monographs on the architects Karl Friedrich Schinkel and Leon Vaudoyer; and numerous exhibition catalogues, such as Mies in Berlin (with Terence Riley; MoMA, 2001), Latin America in Construction, and the forthcoming Frank Lloyd Wright at 150: Unpacking the Archive (2017). Jonathan Massey was recently named dean of the A. Alfred Taubman College of Architecture and Urban Planning at the University of Michigan. Previously, he served as dean of architecture at California College of the Arts. After earning degrees from Princeton and UCLA, he first practiced in Los Angeles, then taught at Syracuse University, where he served as the Meredith Professor for Teaching Excellence, directed the BArch program, and chaired the University Senate. The author of Crystal and Arabesque: Claude Bragdon, Ornament, and Modern Architecture (2009), Massey is also cofounder of the Aggregate Architectural History Collaborative, and coeditor of its book, Governing by Design: Architecture, Economy, and Politics in the 20th Century (2012). His research shows how architecture builds civil society, shapes social relationships, and manages consumption.